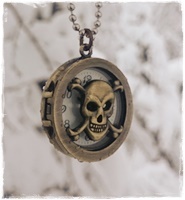 Come on, come on you pirates with your bombs and grenades, and horrible pistols with gunpowder and bullets in. 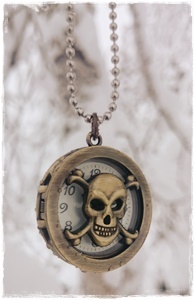 Cool pirate necklace, with a skull clock. Comes with a allergy friendly ballchain of steel, 60cm.